With Aquaseal® by Gear Aid® you can easily repair tears and rips in your favorite waders, wetsuit and gear. Aquaseal is a clear, waterproof adhesive and sealant, specially formulated for the flexibility, adhesion and abrasion protection you need to keep you going. Don’t let a rip or a tear stop you. 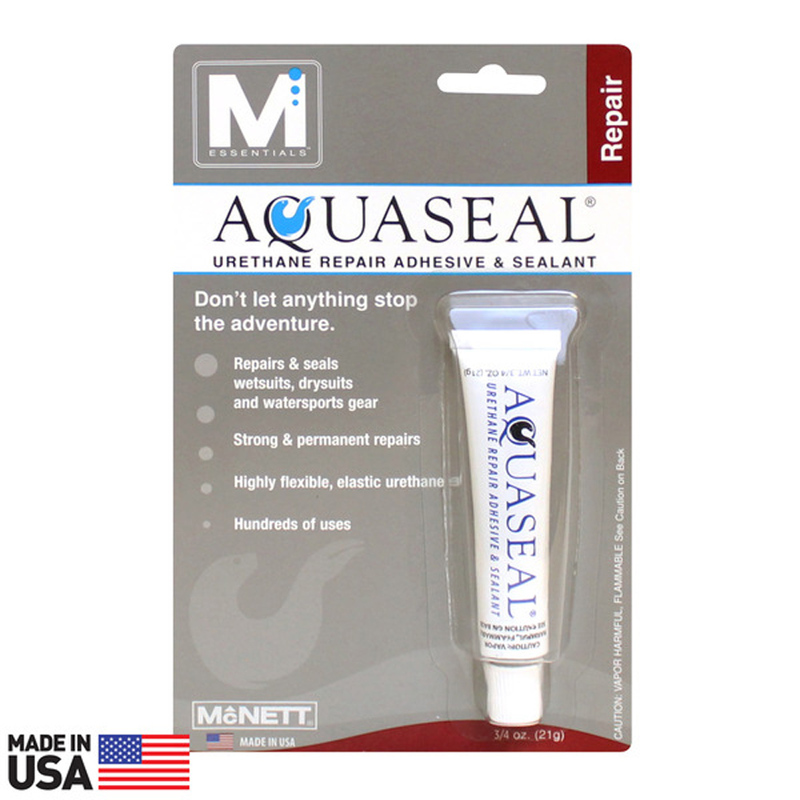 Aquaseal will patch that hole in your wetsuit, raft, fix the gash in your fishing waders and make sure you stay dry. Aquaseal is all you need to keep your gear going as long as you do.